Many people have spent the better part of their lives searching for their missing ribs. While others remain hopeful about meeting their dream partners, some people have been quite lucky with finding love. Love indeed comes in different packages and often happens at a time one leasts expects. This is clearly reflected in the story of Opemipo Fajana and Opemipo Kehinde who met inside a tricycle popularly known as Keke Napep. 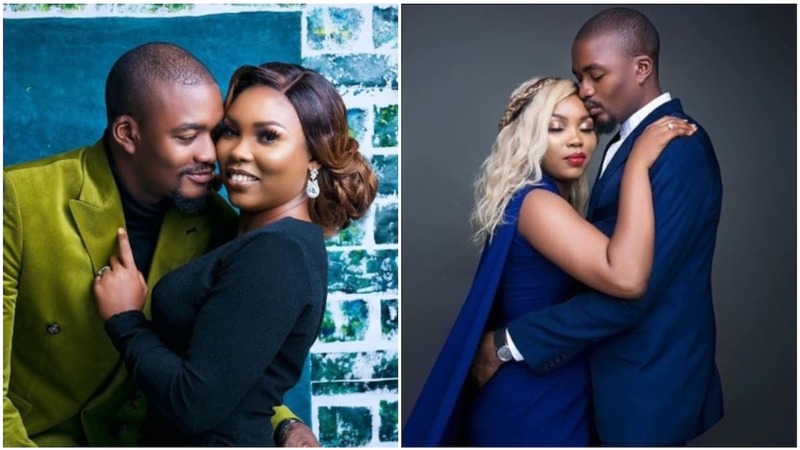 The lovebirds who are namesakes, released their stunning regal pre-wedding photos and it is absolutely adorable. Using the TV series Game of Thrones theme, the couple choose the wedding hashtag, #HouseOpemipo. The also shared their amazing love story and it has left many people in tears. The groom narrated: “We call our love story, keke love. I was heading home from work one fine evening in October 2015 when I suddenly noticed there was a lady beside me in the Keke.Her face was lit up by the glare of her screen as she read blogs on her phone and I noticed two things: Dang, she’s pretty; and she had a whole lot of opened tabs. I couldn’t summon the courage to take her attention from what she was reading but as God will have it we got down at the same stop. “She wore a black and white dress with a cute peach flower in her hair that made her look so beautiful but what took my breath away was her outpouring of emotion when faced with people who were disadvantaged. She spent a lot of the evening in tears as we listened to choirs of visually impaired children. “It wasn’t love at first sight for me, because to be honest, he wasn’t my kind of guy. He didn’t have a moustache and the kind of swag l liked. But something was different about him.He was open, caring and very honest. I like straight forward people and he amazes me every time. The days I worked on Saturdays, he will send uber rides to pick me up and he just kept surprising me each passing day. “In 2018, we started talking about getting married and he even asked me to pick the rings I liked. I knew it was going to happen soon, but I didn’t know how. In June 2018 that same year, his parents came to visit and they called that we should have dinner. I went into their house first and after greeting them, they led me into the house and I saw flowers on the floor, his sister was playing the violin (This was the first time I was meeting her). When I got to the living room, I saw all my friends. This brought tears to my eyes as I never ever imagined all that he has been planing.